Parsnips are thick, white root vegetables that resemble carrots. If you haven't tried parsnips before, you are missing out on their earthy, slightly nutty flavor as well as their nutritive value. Parsnips are high in fiber, and they are a good source of vitamin C, vitamin K, folate and manganese, among other vitamins and minerals. The typical way to prepare parsnips is to boil them, but you can also grill them. The smoky flavor from the grill is the ideal match for this starchy vegetable. Wash the parsnips thoroughly. 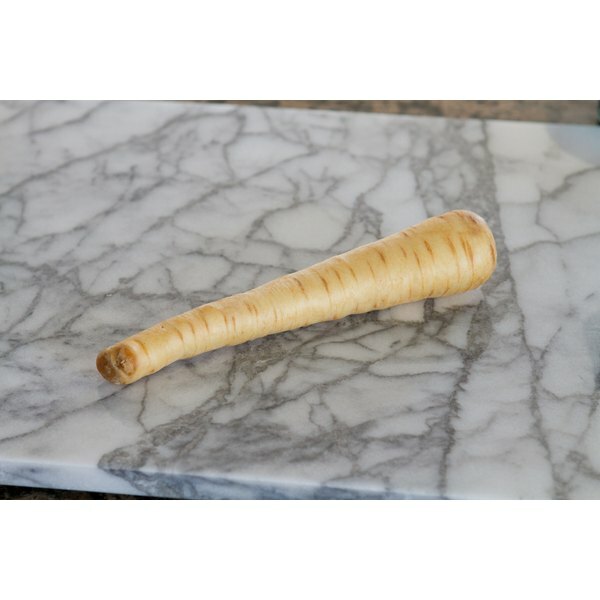 Parsnips are a root vegetable, and they are frequently dirty when they are sold raw. Cut the ends off each parsnip and discard them. Preheat the grill to medium, or 350 degrees Fahrenheit. Brush the grill grates with 3 tablespoons of olive oil to prevent the parsnips from sticking or charring. Place the parsnips on the grill. Cook them for 18 to 20 minutes, turning occasionally. When they are ready, the parsnips will be fork-tender but not mushy. Take the parsnips off the grill. Cut them into 1/2-inch-thick rounds or small pieces. Season the parsnips with 2 tablespoons of nutmeg, parsley, thyme, tarragon or garlic powder.